Magicpin is a new addition in the list of apps which promote themselves through refer and earn. 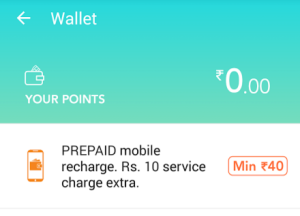 It is giving upto Rs 50 referral per friend but initially you will get only Rs 25 per friend and another Rs 15 when your friend redeems his first cashback from the app. Friend will also get Rs 30 if he uses your referral and redeems his first cashback. Hurry up and grab the cool offer. Magicpin is a social rewards and discovery platform that gets you the best deals and discounts from merchants in your locality. With more than 20,000 partners in Delhi, magicpin is already present wherever in Delhi you’d like to go to. 7. 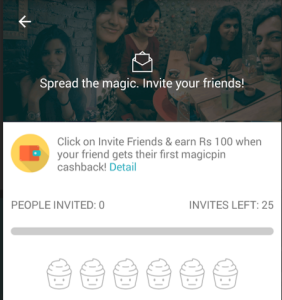 Share your referral link now and after your friend installs the app from your referral link, you get Rs 25 instantly in magicpin wallet. 2. 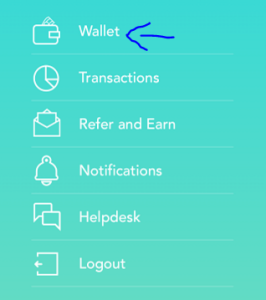 Here you will see options to redeem your wallet balance like mobile recharge etc. 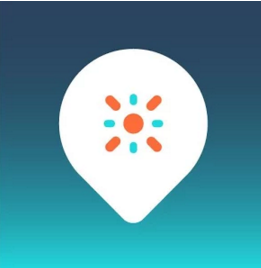 How to earn cashback from this app ? – Visit magicpin partner outlets, purchase and upload your selfie. Is this only for people leaving in Delhi? Is it pause or stopped?? Any updates?? 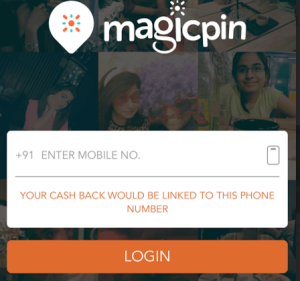 How to get 50 or 75 rs cashback using magic pin app? I never used before and I didint find any product to purchase. @admin kindly guide me. This offer is working again!!! Error gets “Hey, please get a cashback at one of our partners outlets to continue using your magicpin point! ” how to solve this problem?